Just received a 23andMe saliva collection kit? You may be wondering what the service provides and how to get started. 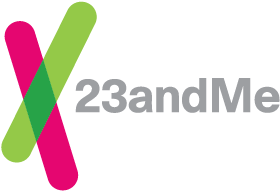 To learn more about the 23andMe® service, click here. Once your kit is registered, review the directions included in your kit before providing your sample. Following sample collection instructions will help ensure the quality and viability of your DNA. The saliva collection kit includes a buffer solution to stabilize the DNA and prevents bacterial contamination. Buffered samples are stable at a wide range of temperatures (-20ºC to 50ºC or -4ºF to 122ºF) for up to 6 months - but we recommend that you ship your collected sample to the laboratory at your earliest convenience. Return shipping from the country listed on the order is prepaid at the time that a kit is purchased. Once you have registered your kit and provided your sample, drop the kit off at your nearest local post mailbox. The transportation supplies for your saliva sample are included in your kit. Mailed samples typically reach our laboratory within 2-3 weeks. Your kit will first be returned to our distribution center in Ontario via Canada Post, then forwarded via FedEx to our laboratory in the United States. You will receive a confirmation email when our laboratory scans your kit barcode. At any point during the process you can learn more about the information provided by the 23andMe Personal Genome Service. Learn about the 23andMe Personal Genome Service.